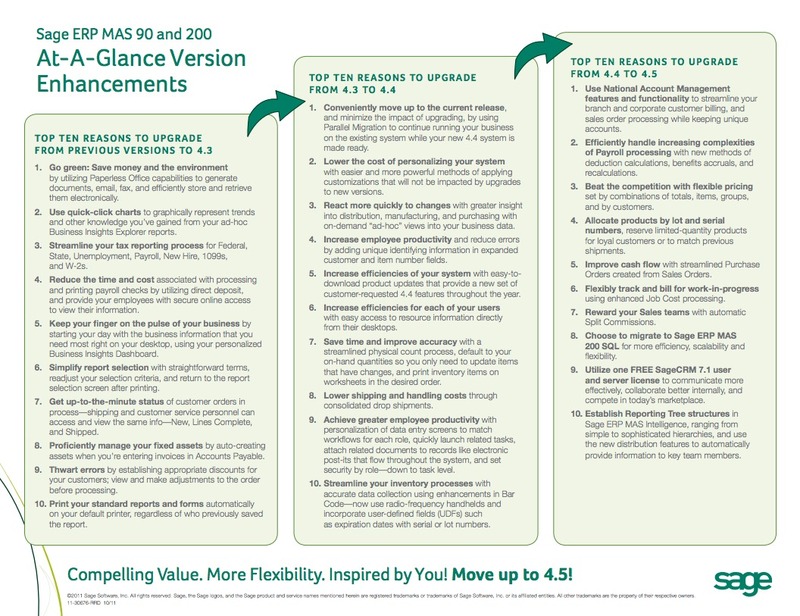 Sage 100 ERP (MAS 90 and 200) version 4.5 is packed with new features and benefits that are all ready for you when you upgrade. In fact, there is so much for everyone that one hour isn’t enough time to cover all of the tremendous enhancements and inclusions, so we will be taking a broad look at the main points that everyone should know about, such as National Accounts for Account Receivable, integrated Customer Relationship Management, and the Reporting Tree capability for financial reports. 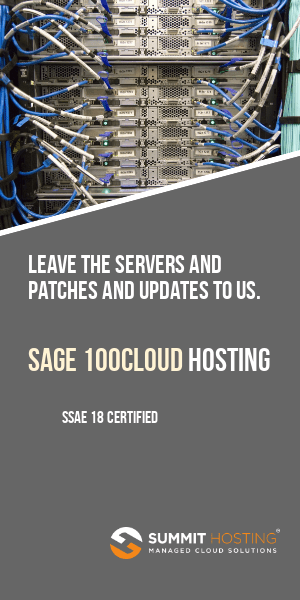 We’ll also discuss the option to migrate to Sage 100 ERP Advanced (SQL server).